As a woman and as a mom, having an emergency fund is super important to me. Although I wasn't a crazy risk taker before my son was born, I soon found out after he was born that I was beginning to crave security even more. Knowing that I have my little guy to look out for during the rough patches in life really keeps me going as my husband and I hustle to build our emergency fund. So why do you really need an emergency fund? #1. An emergency fund will help you sleep at night. My parents lost almost everything after filing for bankruptcy in the 2008 financial crisis. I was a teenager at the time, fresh out of high school, so I remember that time in my life very clearly. And it was scary. For better or for worse, that experience has shaped the way I view finances, especially for women. Having a minimum of three months of living expenses saved up lessens my anxiety considerably. Especially now that I have a sweet little toddler at home, I want to feel safe knowing that I will always be able to provide for him, even if the worst happens. And to be clear, my parents always provided for us even during the worst of the financial meltdown. But it was a time of real stress and anxiety, and I think that as adults and as parents anything we can do to alleviate those issues is a great thing. Your water heater goes bust. You're in a car accident and the other person wasn't carrying insurance. Someone breaks their arm and you get a hospital bill for $3,000. 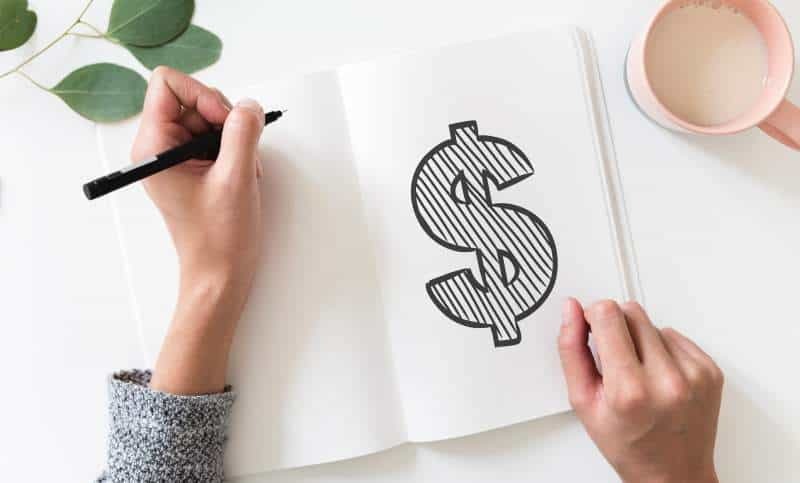 A situation that may otherwise be cause for total panic and anxiety can be just an unfortunate event you move on from quickly when you have a fully funded emergency fund. While it's still never exciting to get a surprise bill like that, it sure is a heck of a lot less stressful when you can simply write the check and move on. #3. An emergency fund prevents you from going back into debt. If you haven't yet finished paying off your non-mortgage debt, the first thing I would do is build up a mini emergency fund of 1 month's worth of expenses. For some ladies this might be $1,000, and for others it might be $5,000. This mini emergency fund is there to be just a small buffer between you and the world while you throw every single spare cent you can at the rest of your debt. Once you are debt free, it's time to build The Big One. I always recommend that women build an emergency fund of three to six months worth of expenses. Note that this isn't three to six months of spending. 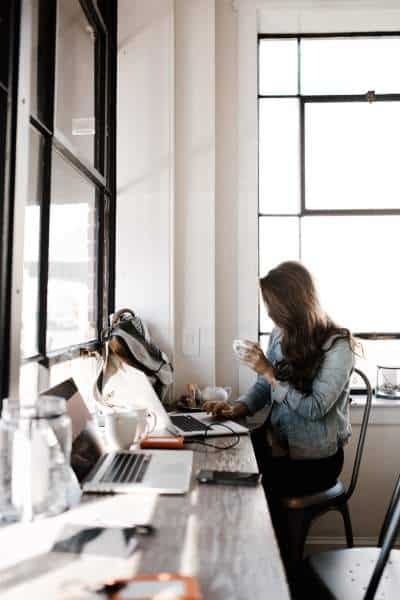 The idea is that, should you need it, you would only use your emergency fund for the bare-bones expenses you need to keep your life going each month. Think things like your housing, food, minimal transportation, and utilities. No eating out or discretionary shopping. So now you are probably thinking that three to six months of expenses is a pretty wide range. How many months of savings is right for you? Basically, all of this comes down to risk. The less risky your lifestyle from a financial standpoint, the smaller of an emergency fund you will need. For example, if your household consists of two adults who both work, no children, and two very stable jobs, you likely don't need more than a few months worth of expenses saved up. On the other hand, maybe you are in a one-income household with multiple children in a high cost of living area. In this situation I would err on the side of 6 months of savings in your emergency fund. All of this is up to you of course, and depends heavily on how risk-averse you are. My husband and I have decided to go with a 3 month emergency fund. While we do have one child, we also both bring in an income and both of our sources of work are pretty dependable. We are also renters, so we are not at risk of losing our home or filing bankruptcy if something were to happen. We could simply move to a lower cost of living area if needed. Now the biggest part of all that is actually building the darn thing. I know it can feel overwhelming when you're staring down $5k, $10K, or even $20K that you want to save up. Don't despair! The best thing you can do is simply think about your emergency fund in $1,000 chunks. All you have to do is save the first thousand dollars. And then the second thousand dollars. And so on and so forth. #1. Get on a budget. The very first thing you need to do to start saving for your emergency fund is get on a budget. Don't skip this step! Trying to save money without being on a budget is like trying to scoop the water from a sinking boat using a trowel. You need to plan exactly where each dollar you have is going to go, so you can see how much you'll be able to save. I like using YNAB software for budgeting, but you can also use something like Every Dollar or just pen and paper. List out all of your expenses and plan how much you will spend on flexible things like the grocery budget, restaurants, shopping, etc. After you do this, you should have a pretty good idea of how much money you will be able to save each month. #2. Pay your emergency fund first! If you got yourself on a budget in the last section, you know how much you can save monthly. Now, the next step is to make sure that you take this money out of your paycheck FIRST! So many people wait till the end of the month to see what is left over for saving. In reality, this is the worst thing you can do! Most of us would say very little if we did it this way. The best thing you can do is make an educated guess on how much you can save, and then have that amount automatically withdrawn from your checking account as soon as you get paid. The key here is putting it on autopilot. We are all busy ladies, and we have a ton of things on our minds. It's too much to ask to try to transfer the money each month or every two weeks manually. Give your bank a call, and ask them to set up an automatic withdrawal on the date you are paid. #3. Start a profitable side hustle. Depending on your household income and by how much you were able to cut your expenses, you may not need to do this step. We live in the middle of Seattle, which is a super high cost of living area. Without a little side hustling, building our emergency fund would take longer then I am comfortable with. 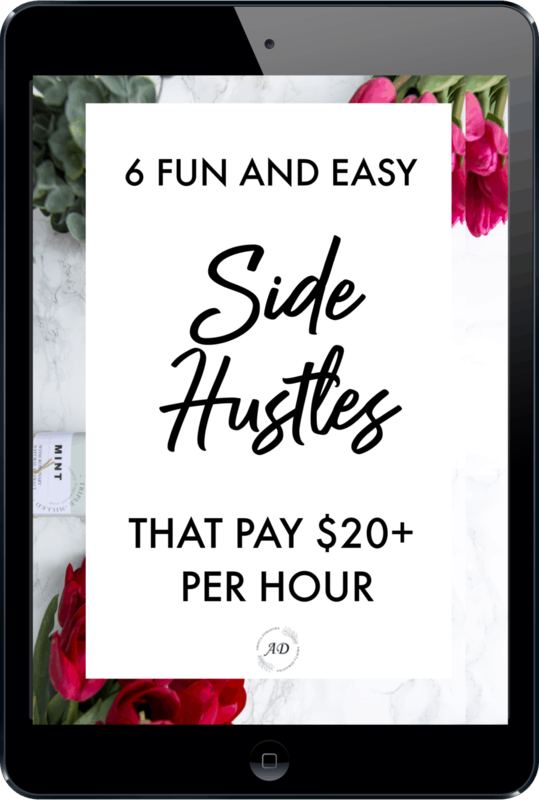 So what kind of side hustle should you start? That's a great question! And it will be different for everyone. Do some dog walking and pet sitting with Rover. If you like working with animals, Rover may be the perfect option for you! Rover connects dog walkers and pet sitters with pet owners in the area who need help caring for their animals. Dog walkers and pet sitters set their own rates on Rover, and tend to be paid very well. Most of the time you can charge at least $15 for a quick walk or pet visit. It all depends on your area, so the best thing you can do is log in to their website and check the listings in your town. Plenty of people make more than $1,000 per month walking dogs on Rover, and some even go full-time! You can also consider hosting pets in your home if doing dog walks and pet sitting appointments isn't going to work for you. Provide childcare for another little kid in your area. This has been an amazing side hustle for me. My little boy is going on two years old now, and he always wants other kids to play with. Providing childcare in our home for another little kid about his age has been a wonderful experience. On top of that, the pay is great here in Seattle (15-20/hr). You'll need to look into whether or not there are any licensing restrictions in your area, but after that, you are good to go! Local parenting Facebook groups and Craigslist ads have worked especially well for me. Start a blog and get paid to write about topics you love. 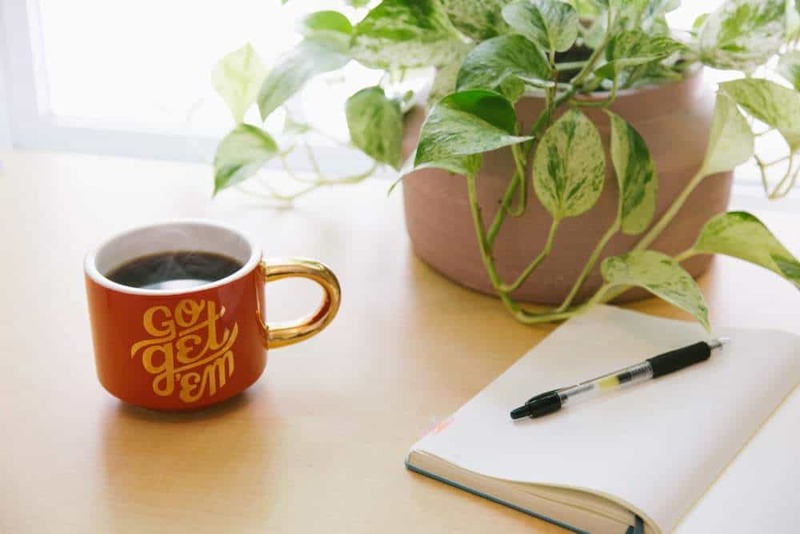 It's no secret that I absolutely love blogging and would recommend it to anyone who likes to write and wants a good side hustle. That being said, I put this one at the bottom of the list because blogging is not a good way to get fast cash. It takes time and a lot of work to build up to the point where you are making money, but once you do, you have a passive income stream. For me, I wanted a side hustle where I could both build my emergency fund and then continue investing with the money I made thereafter. 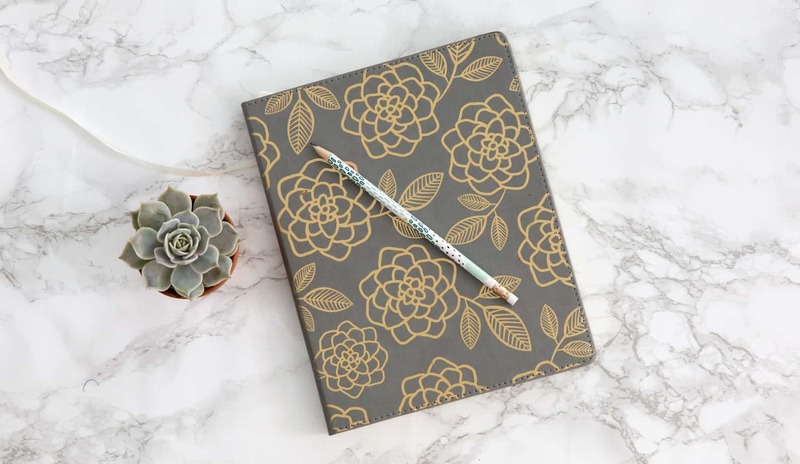 If you are in it for the long haul, blogging is an incredible way to make money from home, especially if you have kids and need to work weird hours. I hope this post gives you some food for thought and helps you build your emergency fund as quickly as possible! 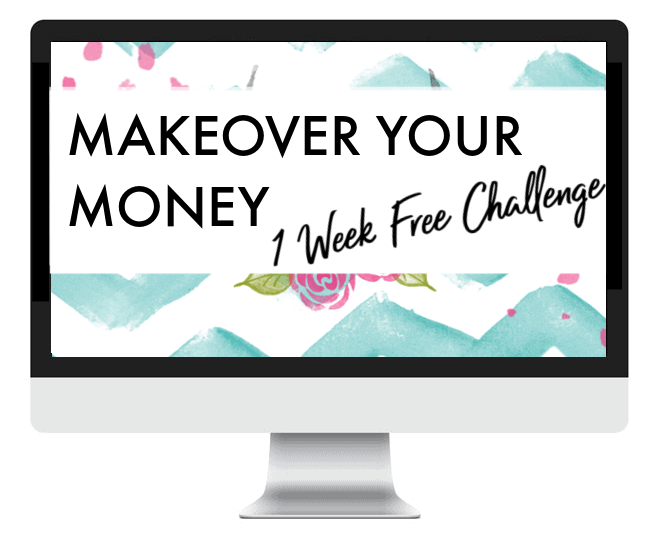 If your money is stressing you out, sign up for my free Makeover Your Money course below. It's really in depth and follows a step-by-step format that will help you take control of your finances once and for all. Check it out!